When the greener and grass-covered lawns stepped into vogue in the 16th century, homeowners were obsessed with keeping their lawns manicured. And there was no possible panacea to that rather than spending tons of time, burning calories and thwacking out every grass and weed strand that ruins the overall look of the lawn. Since then, a man was deeply devoted to finding the effective solution- that is economical and easy to use. 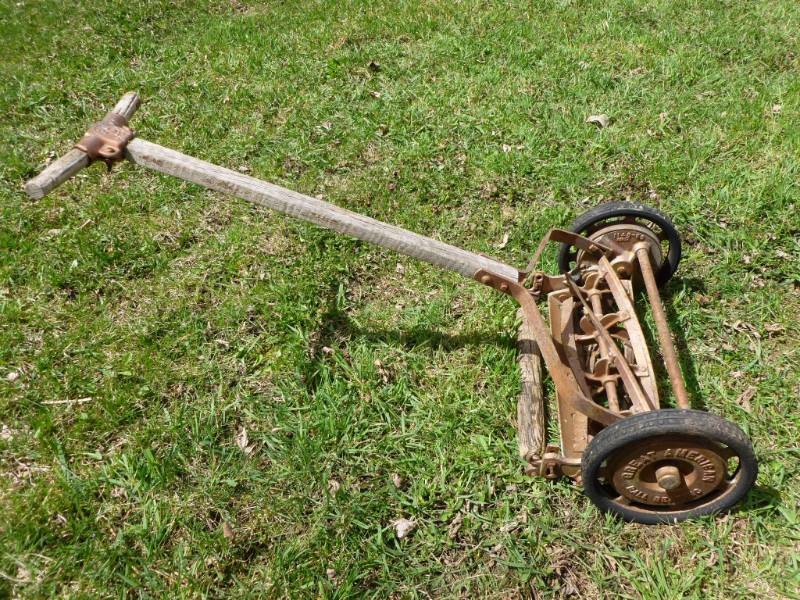 Ever wondered how lawn mower came to the limelight? Who invented the lawn mower? 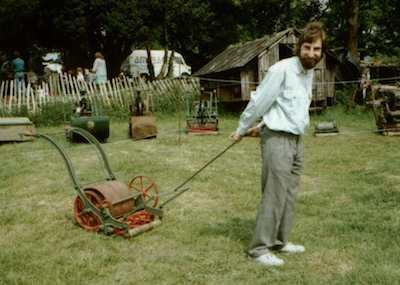 The daily-routine machine that is helping you in every lawn mowing session and killing your hassles of mowing a lawn was invented by a British man named Edwin Beard Budding. He was the first person who mowed a lawn without requiring a squad of men to trim down the grass with giant scythes. But the invention wasn't stopped there. Beard was asked to invent a mower that follows a push motion. Read on to have a glimpse of how it all began and how lawn mowers were evolved from horse-drawn to engines and engines to eco-friendly. What made Edward invent a lawn mower? In the beginning era, people were not keen on having giant and elegant lawns. 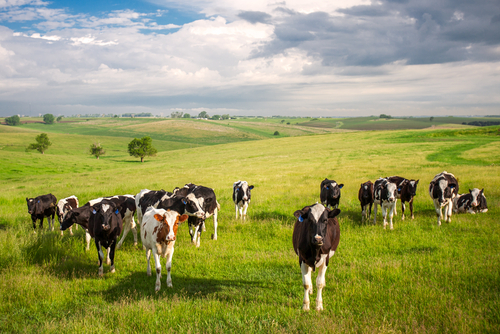 All they had were some large patches of land for grazing animals. With the coming years, people decided to ditch these dirt patches and ideated to maintain green lawns for the sake of beautification of their home while fuelling up the Mother Nature. These types of lawns were tremendously huge and usually requires a gargantuan force of men to de-clutter and trim them. Obviously, it was exorbitant and most of the commoners were not able to afford it. Only the “elite” were able to maintain nicely kept and green lawns. In the late 30s of the 19th century, the smart engineer Edwin Budding was awarded the patent to produce the first ever lawn mower for trimming the uneven grass into handsome lawns. In the initial days, Edward somehow managed to portray a design that is perfect for cutting the grass uniformly. Then a set of wheels made him realize that he can adjust the size of grass by the size of the wheels appended to the lawn mower. This experiment turned fruitful and he was successfully able to bestow a perfect haircut to the carpet of grass. As aforementioned, Edward was a smart engineer who was a keen researcher in a textile mill in Britain. He was also a die-hard fan of soccer but instead of running into a pub every weekend with his intimates to enjoy a pint, he chose to stay home. His tremendous love for soccer and the hatred for the time taken by scythes to trim the lawn moved him deeply and made him invent the revolutionary lawn mower. Beard tried his best to find out all the possible ways that can trim the grass equally, within time and without much manpower. He was later considered as a great inventor by many and was awarded for his achievements. As some lawns were huge, it wasn't an effective measure to trim them through a man-powered lawn mower. So in the year 1902, an English Company finally revealed a commercial lawn mower that was pulled by horses. This proved out to be a huge success as every family was having a horse those days and tying a cart to your horse while sitting back seemed easier. 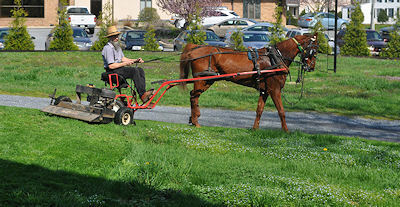 As the years were passing by and engines replaced the traditional transportation system, the horse-drawn mowers were replaced. Steam engines, coal-powered engines and diesel engines with their long smoke hoses were seen grazing every lawn and cutting it into a uniform piece. However, this phenomena did not last long because people became more concerned about the environment. Hence, they normally opt for smaller lawns. This is how portable and rechargeable lawn mower came into reality. This version of lawn mower was extremely compact and economical that every home in the city that has a lawn was equipped with one. In today's world, you must have encountered battery powered or solar lawn mowers that are environment-friendly and require no specific technique to use them. As per various experiments that have been conducted in the lab of technology, it has helped in developing automated lawn mowers that did not require any human intercession. 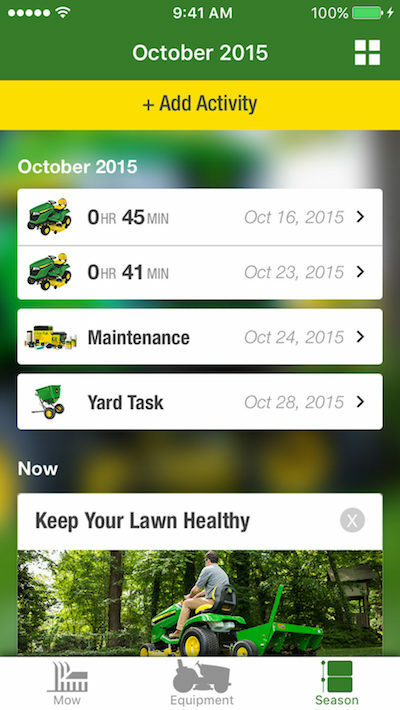 Just tap your app and select the type trim you need, sip your coffee and supervise the work!